Our Services - Data Review - QuickTrainer, Inc. When you elect to do your own books, it is a very wise move on your part to engage QuickTrainer in a Quarterly (and End of Year) review. Why? We see and know things you are not aware of. Additionally, you stare at these books day-in and day-out. We are a neutral resource who can see things from an objective point-of-view. When we conduct a quarterly review, we will discuss our findings with you and use this time as a learning opportunity. If you have questions, we will have solid answers. Do YOU have any questions about how to handle certain situations? Is there a solid G/L Chart of Accounts established? Have the prior year adjusting journal entries been recorded? 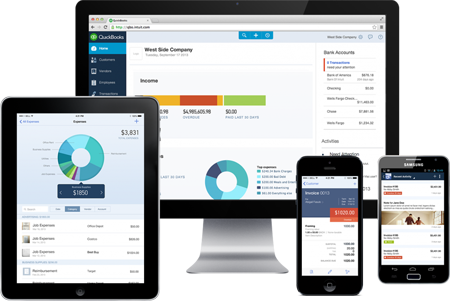 Do the QuickBooks financials tie to the prior year’s tax return? Are bank and credit card accounts reconciled through a current date? Are purchases assigned to their proper G/L account (e.g., asset or expense)? Do transactions have a proper memo? What is the status of undeposited funds? Are payroll liabilities being handled properly? Is sales tax being paid properly? Are the payments towards loan liabilities being paid correctly (e.g., is principal and interest reflected)? Are distributions or draws being recorded properly? Do income accounts reflect income and only income? Have the proper COGS accounts been established and used correctly? Are payroll transactions hitting their proper expense or COGS accounts? Are payroll expenses posting to the proper expense accounts? Do we understand the transactions in each G/L account for the time period we are reviewing? Once we have been through a quarterly review with a client, the review process typically takes one to two hours. This is time well spent in the interest of making business decisions based on accurate accounting data. This is an ideal investment of time and money to ensure when your QuickBooks data arrives at your CPA’s office, the data is accurate and ready for a tax return. Printing W-2’s and the W-3 (when applicable). Printing 1099’s and the 1099 (when applicable). Reconciling any bank loans to ensure principal balances tie to year-end balances from statements. Setting a closing date and password. Making a backup of your QuickBooks data. Instructing you on making copies of documents your CPA will want to have on file. Addressing any questions, comments or concerns YOU may have.